The newly-signed Rush made his ROH debut by defeating O'Ryan at last month's post-Final Battle television tapings. He was attacked by The Kingdom in a post-match angle and laid out with a con-chair-to. 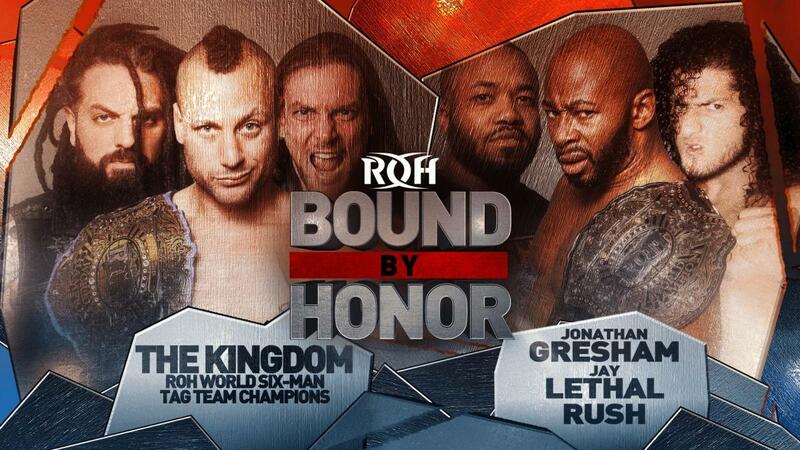 Lethal and Taven have also been feuding, with Taven claiming to be the real ROH World Champion. Klein and Cobb's title defenses were both set up at ROH's Road to G1 Supercard show in San Antonio last weekend. Klein retained her title against Sumie Sakai and later called out Iwatani for a match in Miami. Romero defeated Dalton Castle and Cobb in a Proving Ground match to get a future shot at Cobb's title. Romero pinned Castle in the match. Villain Enterprises (PCO & Brody King) won ROH's Tag Wars tournament on the Road to G1 Supercard shows in Texas and will get a shot at The Briscoes' Tag Team titles at ROH's 17th Anniversary pay-per-view in March and a spot in April's Crockett Cup tournament. PCO & King brawled with The Briscoes after the Tag Wars finals. ROH will also be in Lakeland, Florida on Saturday, February 9 for a set of TV tapings.